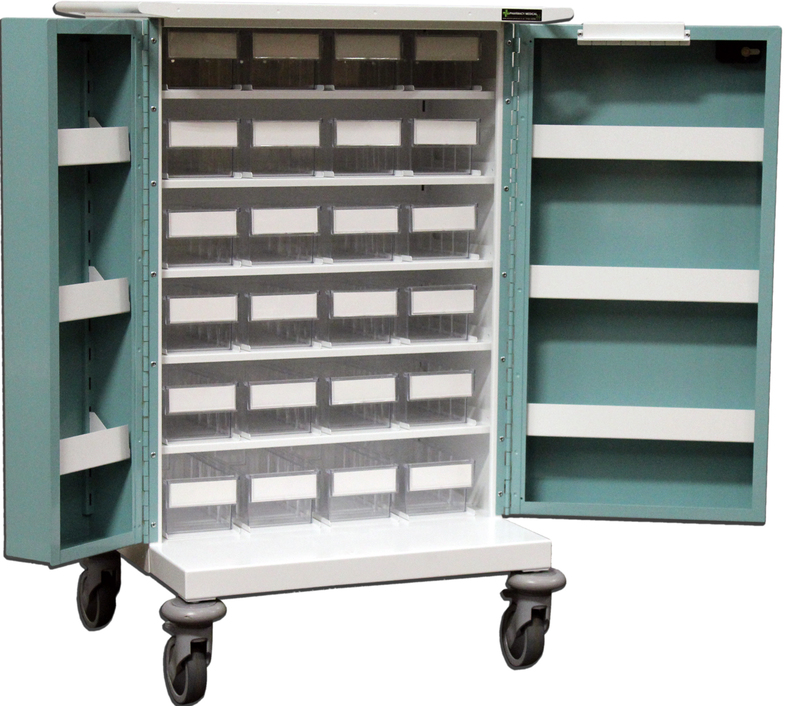 24 tray original packaging trolley with clear plastic trays. 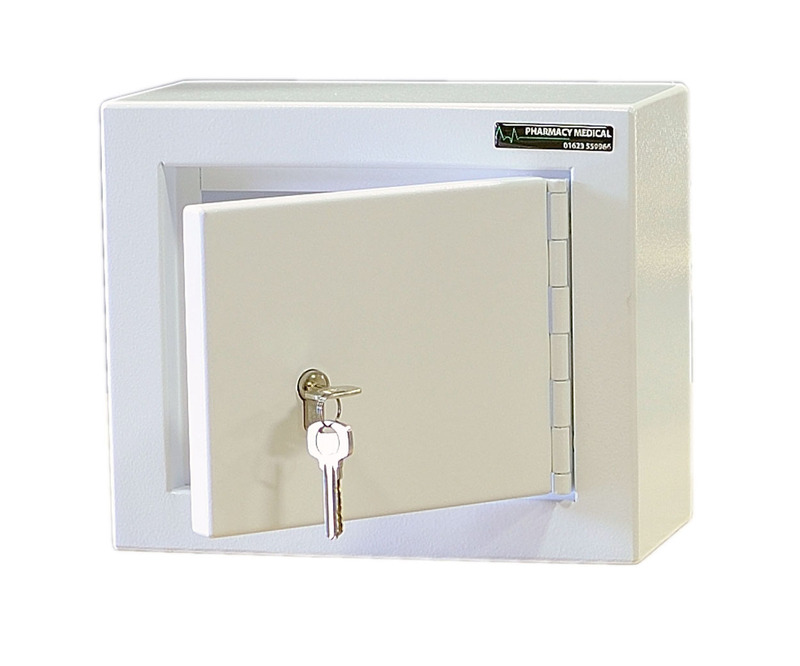 Double door with key lock. Adjustable shelf to fit CD cabinet. Controlled drugs cabinet. With 3 adjustable internal shelves. Also supplied with wall fixings. 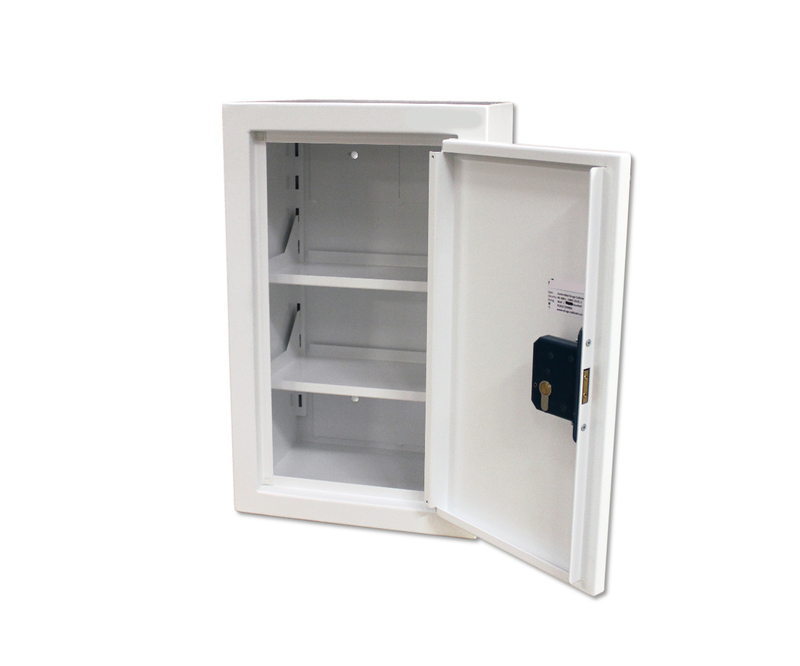 Controlled drugs cabinet with 1 door tray, also supplied with wall fixings. 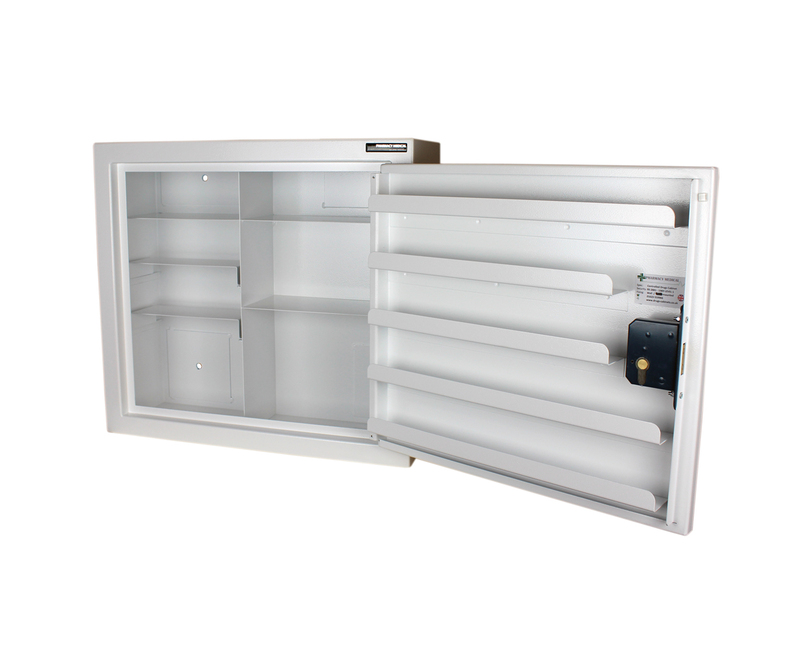 Controlled Drugs Cabinet. 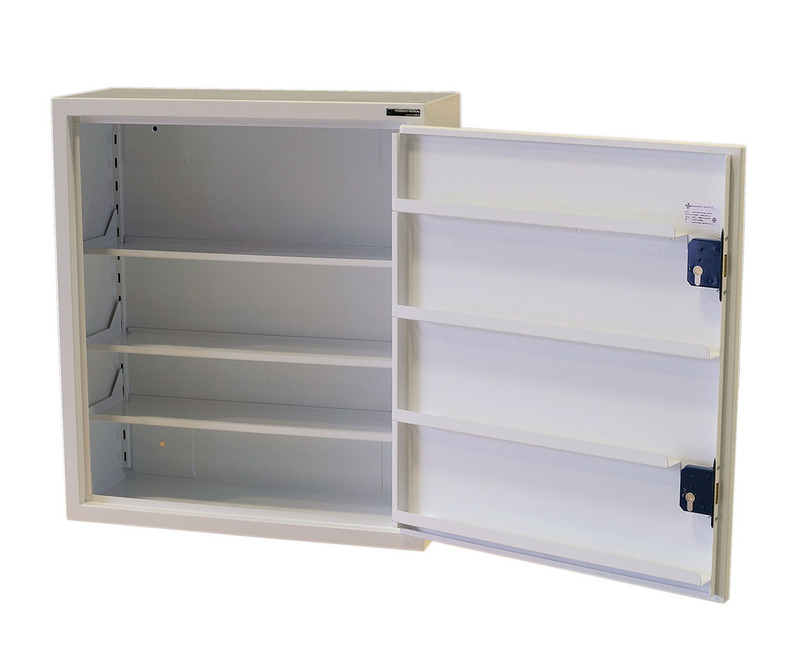 Wall Fixing CD Cabinet (H x W x D) – 480mm x 560mm x 160mm; Four internal shelves two of which are adjustable and four fixed door shelves. 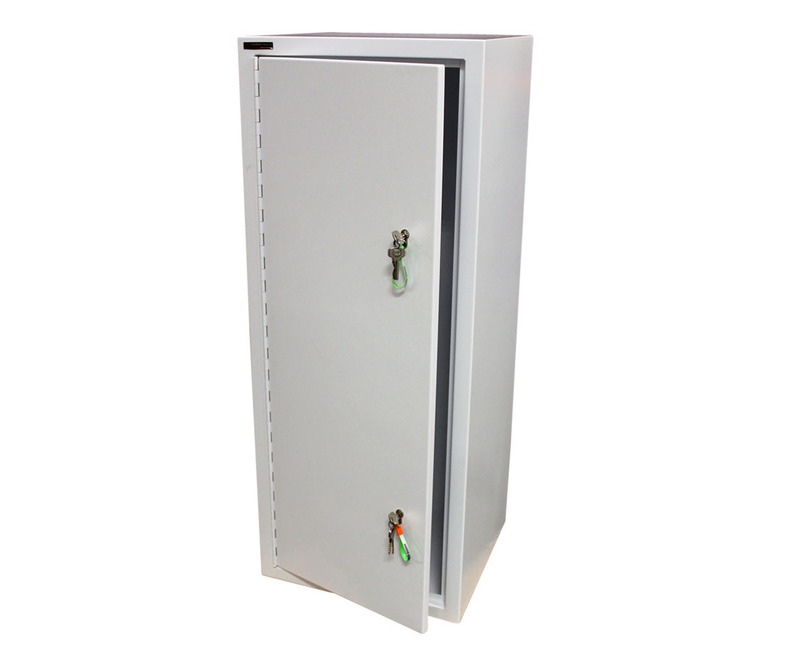 This controlled drugs cabinet has been manufactured from 2mm thick mild steel. 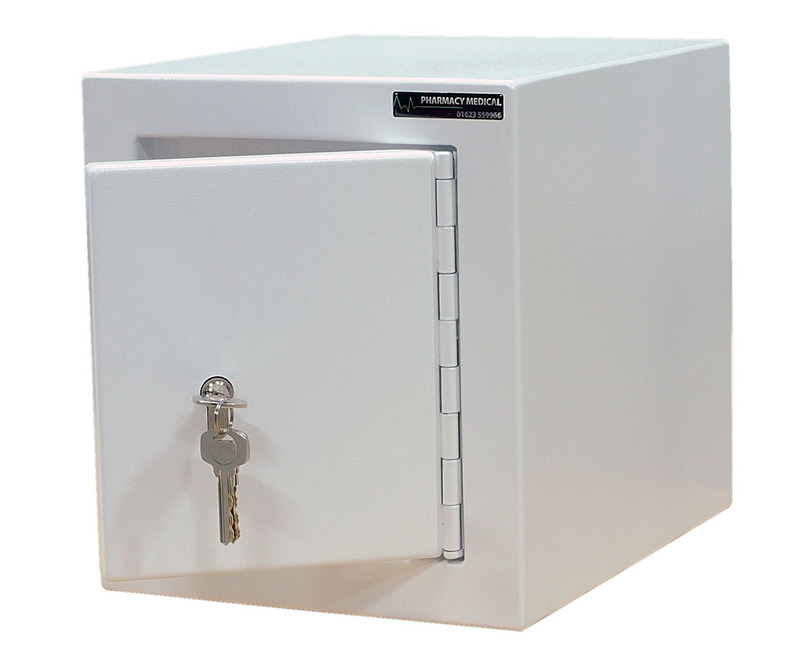 It comes complete with a 6-pin euro profile cylinder lock. Controlled Drugs Cabinet. 3 adjustable internal shelves and 4 door trays. Supplied with wall fixings. 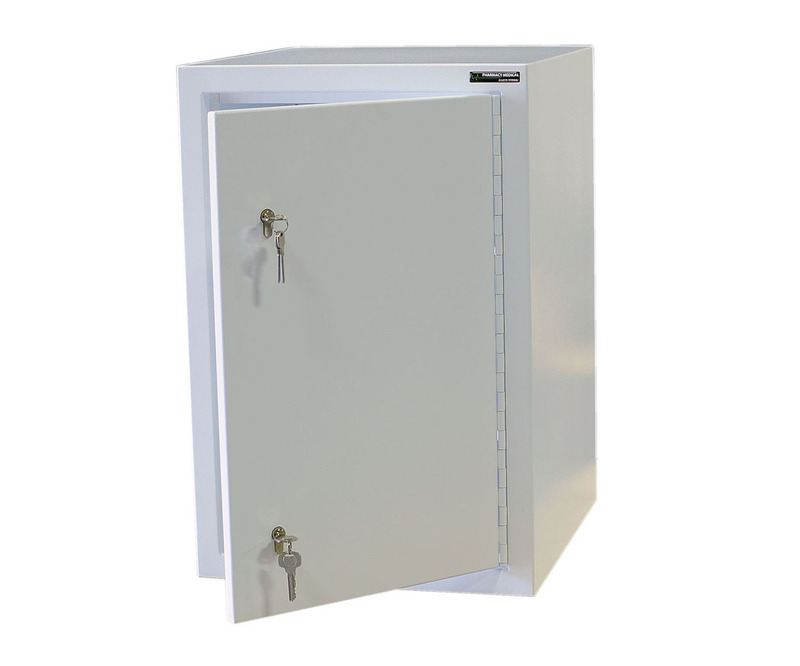 Controlled Drugs Cabinet. 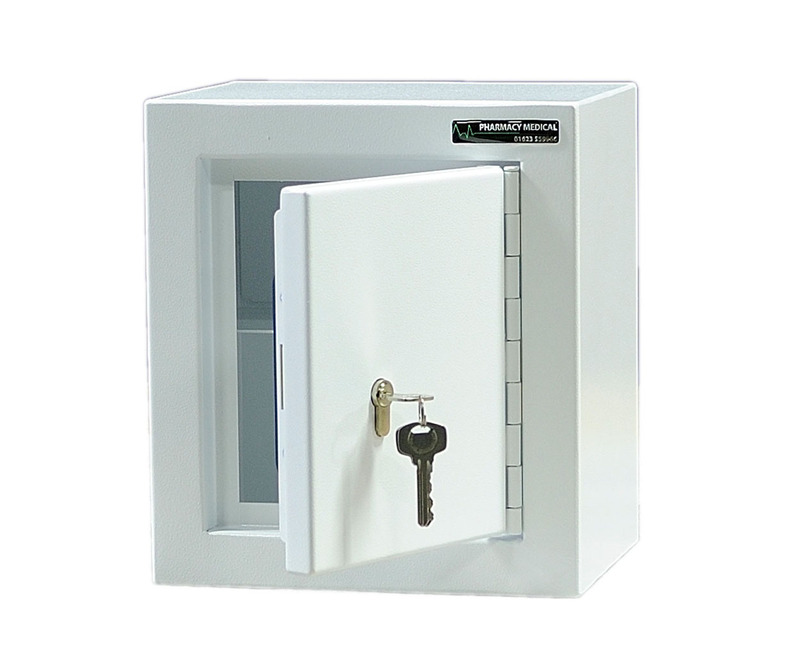 1 door tray. Supplied with wall fixings. 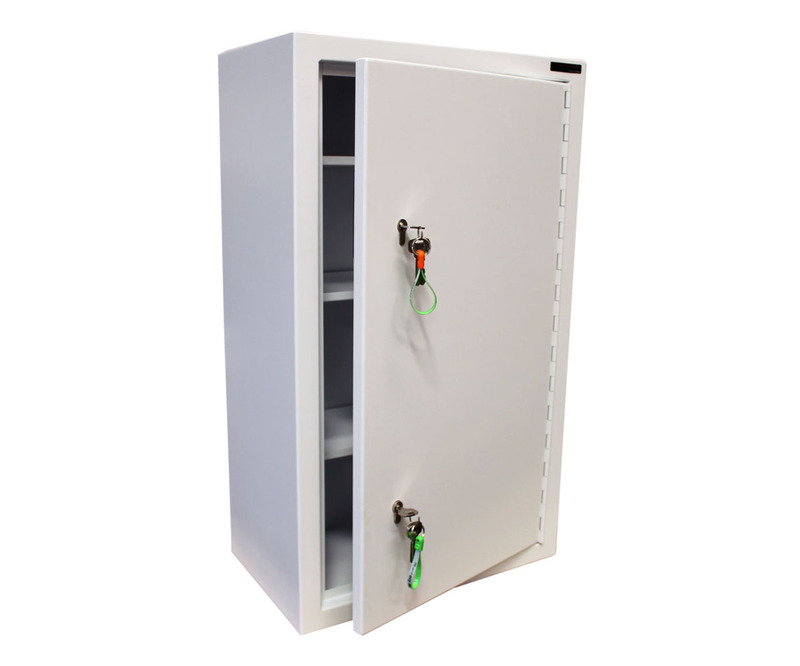 Controlled Drugs Cabinet. 1 fixed internal shelf. Supplied with wall fixings. 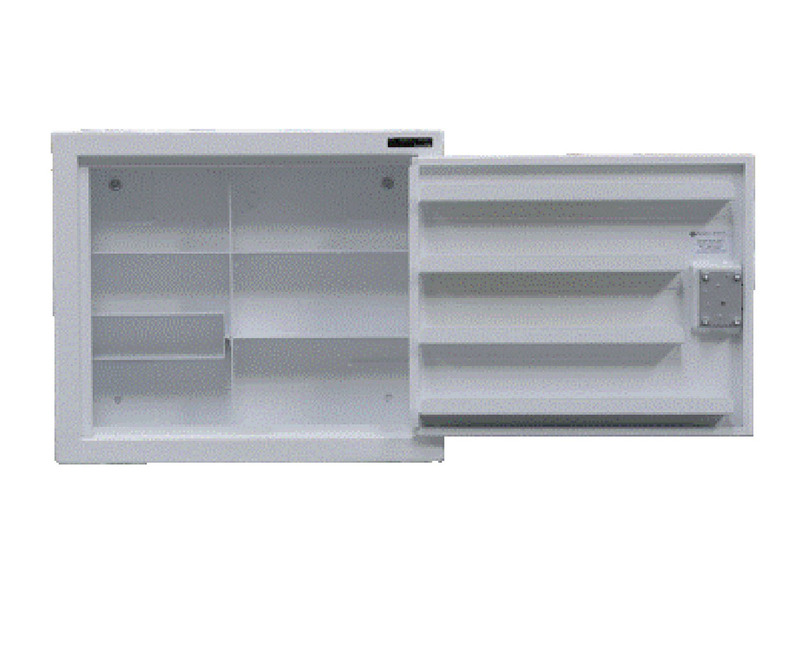 Wall Fixing CD Cabinet - (H x W x D) – 480mm x 560mm x 160mm; Two adjustable internal shelves, no door shelves. 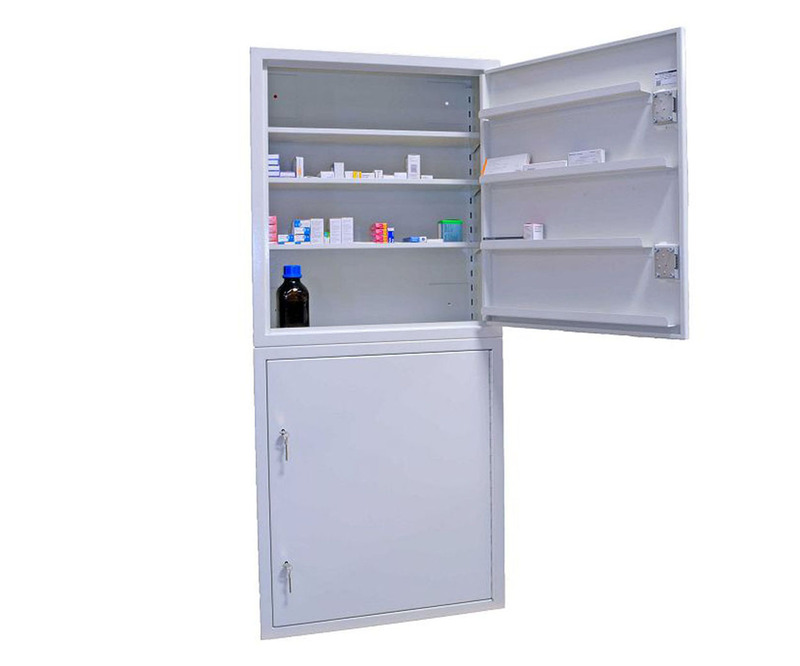 Controlled Drugs Cabinet. 2 adjustable internal shelves. 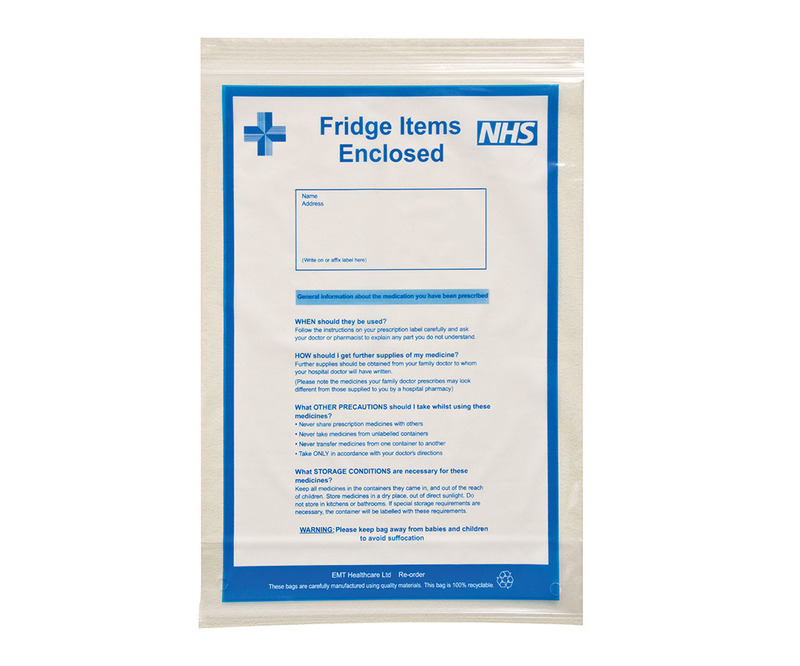 Supplied with floor fixings. 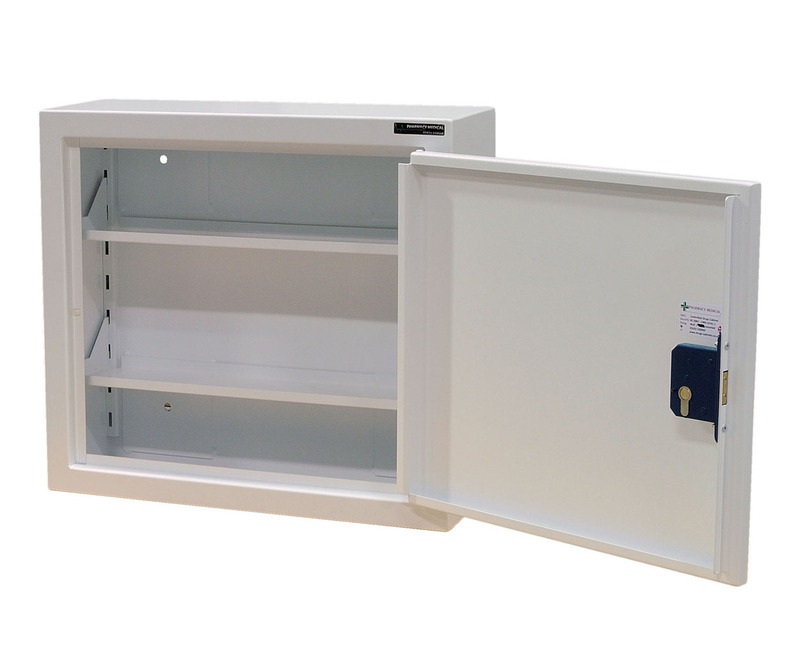 Controlled Drugs Cabinet. 6 adjustable internal shelves and 6 door trays. Supplied with wall fixings. Controlled Drugs Cabinet. 2 adjustable internal shelves and 3 door trays. Supplied with floor fixings. 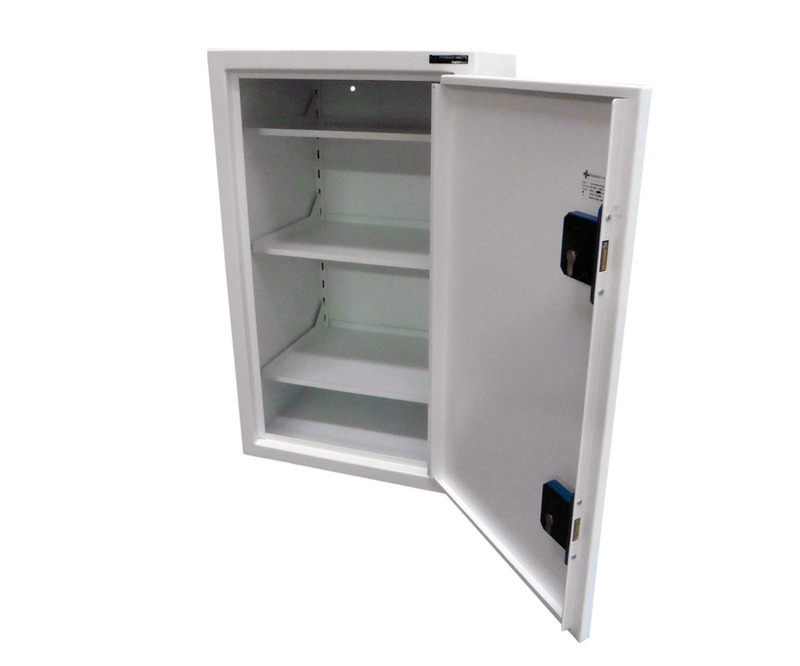 This controlled drugs cabinet is manufactured in the UK and conforms to all relevant standards for controlled drugs. 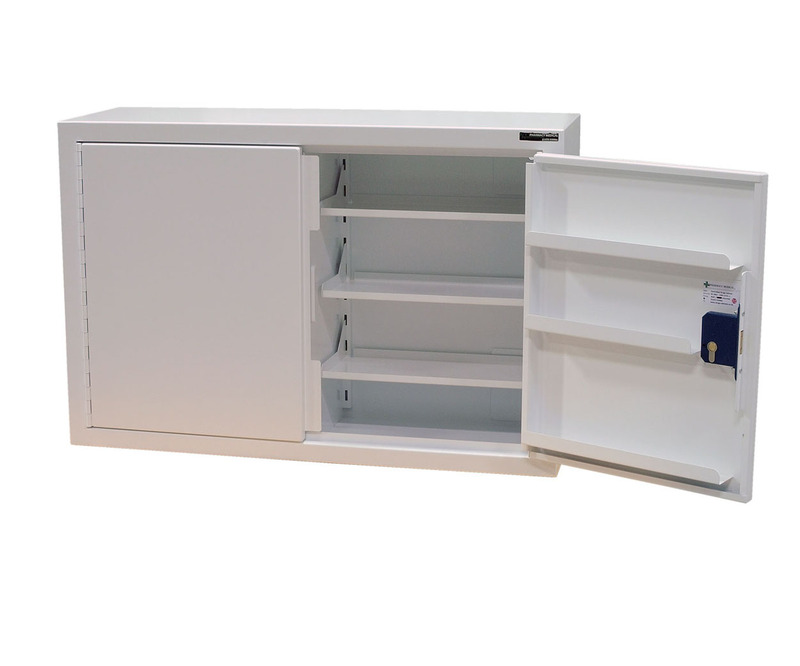 Controlled Drugs cabinet with 3 adjustable shelves and 3 fixed door shelves.